california-3< Click here for full Spec Sheet. 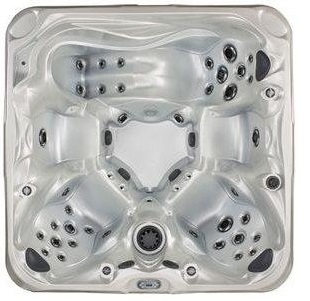 The ergonomically designed California 3 is a 5 seat 58 jet Hot Tub with LED lights, mp3 connection, and sufficient space and comfort for the average uk family. Its space age design would appeal to the young at heart and could not fail to impress both family and friends. The Happy Hot Tub received the WhatSpa ‘Best Buy’ award for 2012.